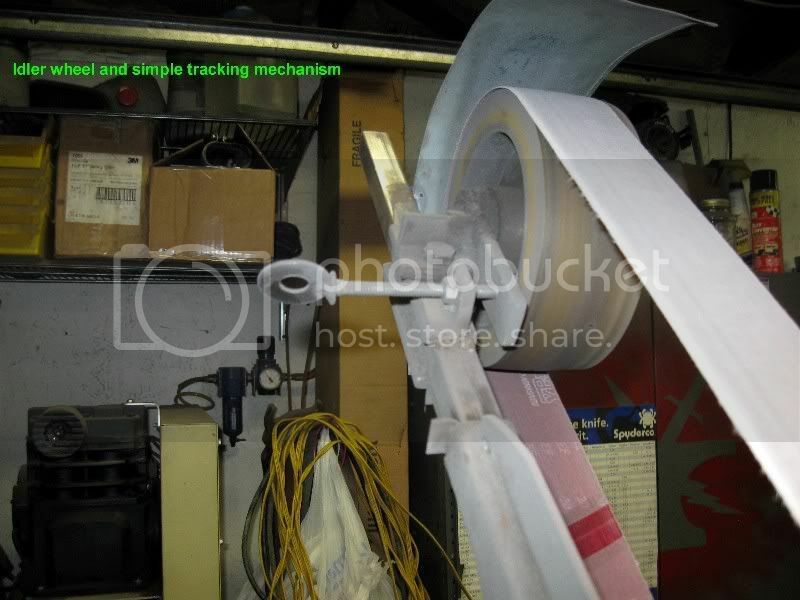 I know this is not an all encompassing tutorial, but it gives the general idea of how to convert a surface grinder to use 2 x 72" belts. 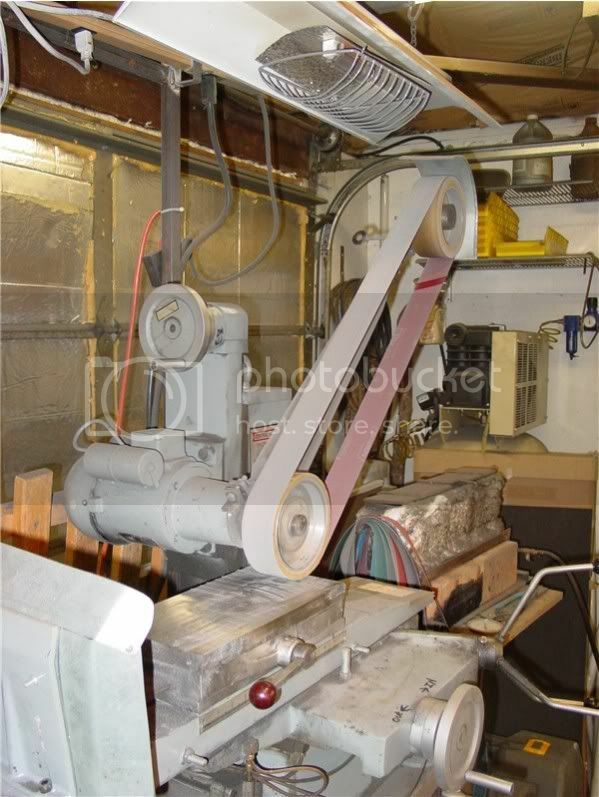 Much is going to depend on the specific type/model of surface grinder. The one constant is the contact wheel! 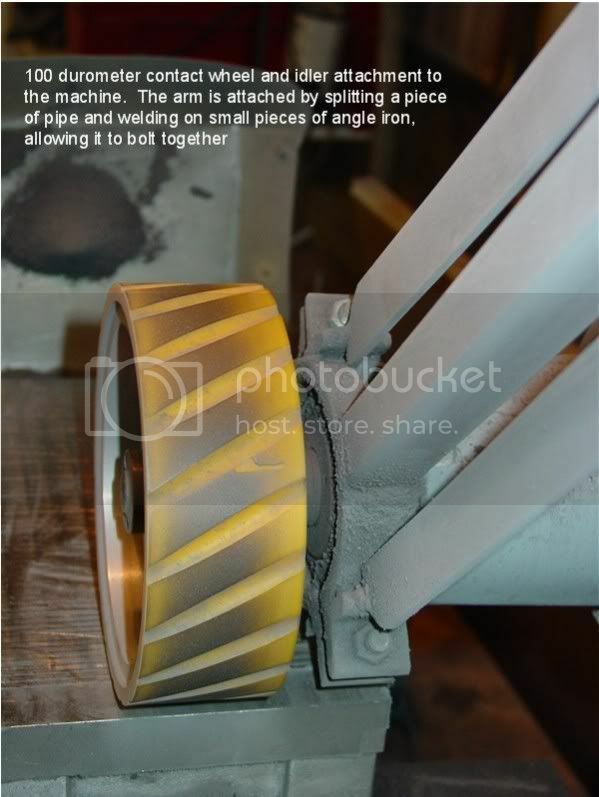 Anything less than 100 durometer wheel will cause whatever your surface grinding to come out with a convex surface. I converted my surface grinder a number of years ago...I personally like it MUCH better than using the stones. Some will argue that the stones are more accurate, but mine will hold a .0005 tolerance with finer grit belts. The other added benefit is economy...I use the same belts that my grinders use....so I don't have to spend money on stones. I also like the fact that with a 50 grit belt I can take .010-.012" at a pass, where as with a stone it's more like .001-.003". good one. I have to do this to mine. I hate the stone wheel. yes, that part is easy. 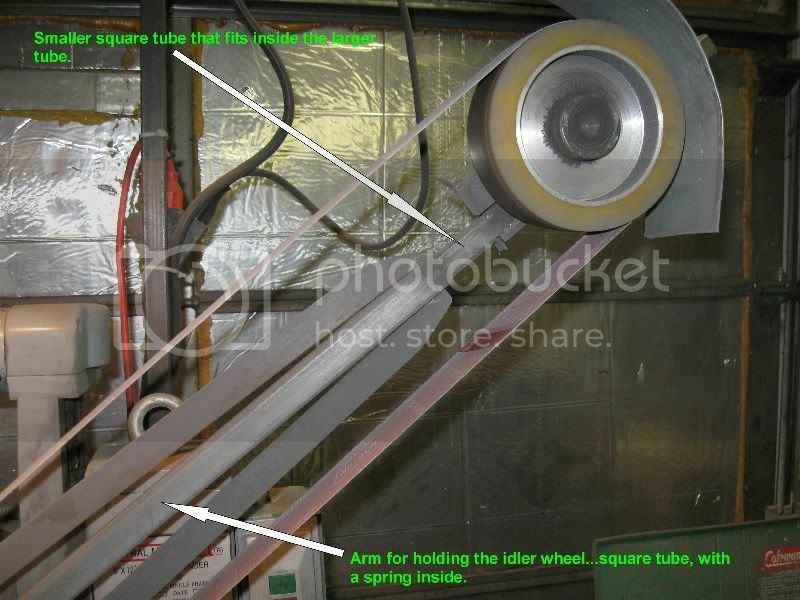 I just need to find the time to tear into my HF benchtop surface grinder and see what the wheel size needs to be. If anyone has the size needed, I'll start putting together a conversion kit. Nope! Don't stock them....BUT, Sunray is THE place to get them.....in fact they might be the ONLY place to get a 100 durometer wheel like that. When I did my conversion I actually purchased my contact wheel and idler from a knifemaker in South Africa, who was building conversion kits at that time. He's since quit making the kits/wheels. I did check with Shane at Sunray, and as long as you can give them all the specs you need, they can make it for you. 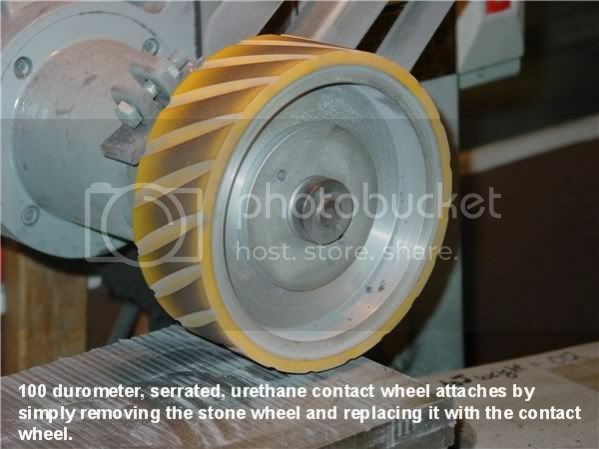 Some guys don't even use the urethane....I've seen several conversion where guys just had a chunk of hard aluminum, or even steel turned down and used that for the contact wheel.....seemed to work pretty well for them, although it would seem to me that chatter might be an issue. I've got a Bernie wheel I have never put on. I'll dig that out and have a look. Also interested. 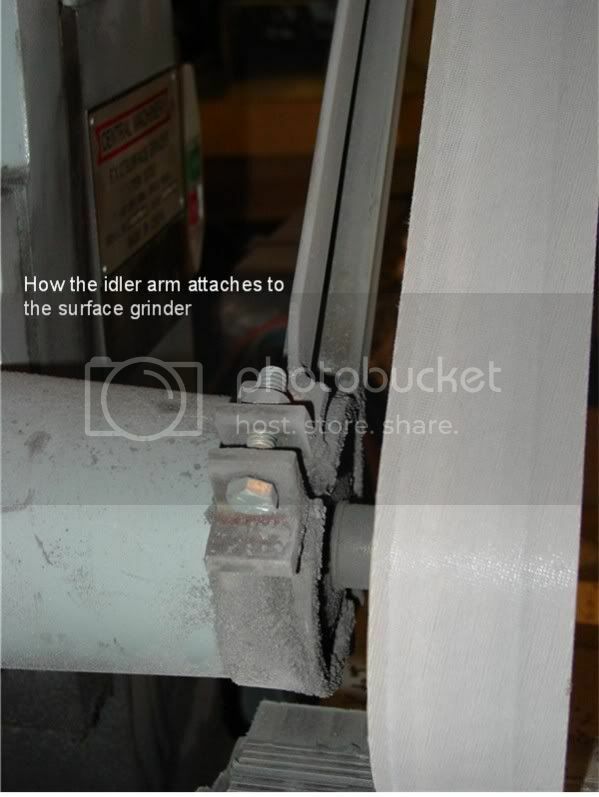 I would think a lot of us have a similar surface grinder as the one Ed shows in his post. Mine is a Grizzly and other than the color, it looks identical. While I am sure there are many that do, many don't have the resources or experience to do good welds. A turn-key kit would be fantastic. You MIGHT be able to find a kit on the net somewhere, but I think the reason availability is so limited is due to the fact that there are so many variables with each brand/type of surface grinder, it would be impossible to build a "bolt on" kit that would fit any grinder. The other option might be if you could find someone to build a conversion for you..but I suspect that would likely be cost prohibitive. The only way I would ever do it for someone else is if they had the exact same grinder that I do, and even then I suspect the cost would scare anyone away.